Rare are the days when we hear updates regarding the rewards on Nintendo’s points-based customer rewards system, especially physical rewards. 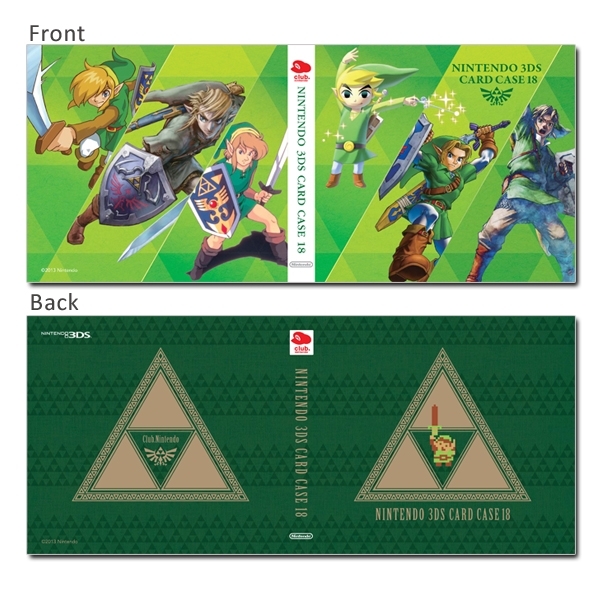 Just recently, the North American Club Nintendo website was updated with three physical rewards, one of which happens to be Zelda-themed. While this is not a brand-new rewards, the scarcity of these kind of updates makes it something to enjoy. Priced at 400 coins (a moderately hefty price), a 3DS case has again become available as a redeemable item. While it isn’t inherently a piece of Zelda merchandise, it comes with a double-sided, Zelda-themed cover that can be used to show off your Hyrulean pride while it guards up to 18 of your game cartridges. Will any of you be picking up this reward before it disappears from the site? While these rewards don’t tend to last very long, it is still available at the time of this writing. Or are you waiting for something more along the lines of a poster or game?